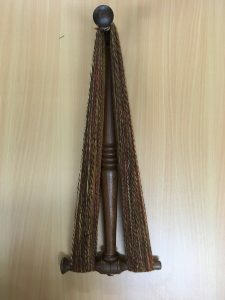 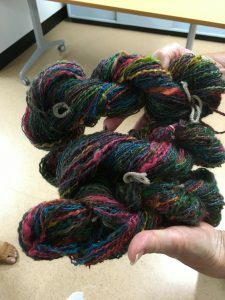 A gorgeous skein, handspun by Erica. Sukrita has been doing quite a bit of dyeing lately and experimenting with different techniques. 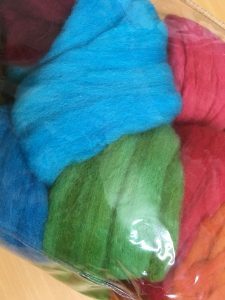 The above tops were dyed using two different types of eucalyptus bark with an alum mordant. 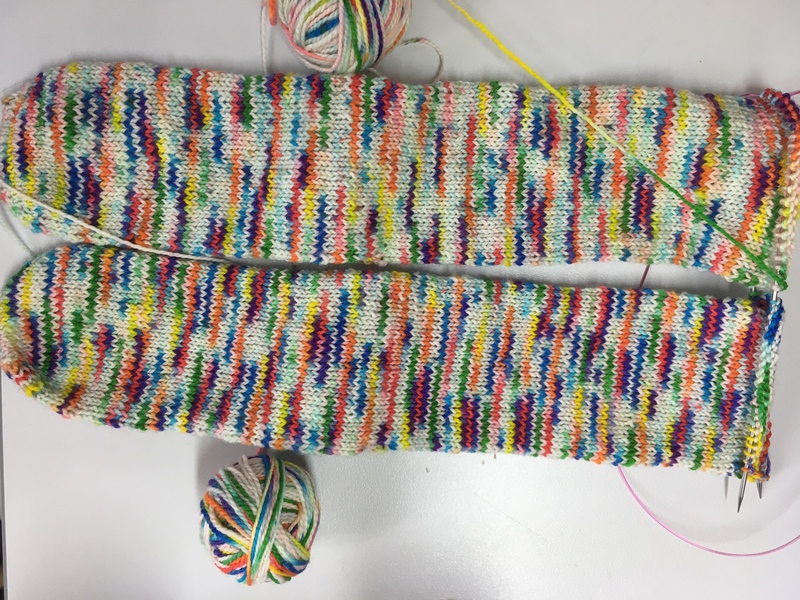 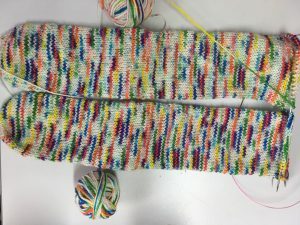 Sukrita has almost finished these socks which she knitted on a circular needle, both socks at the same time, using her own hand dyed wool. 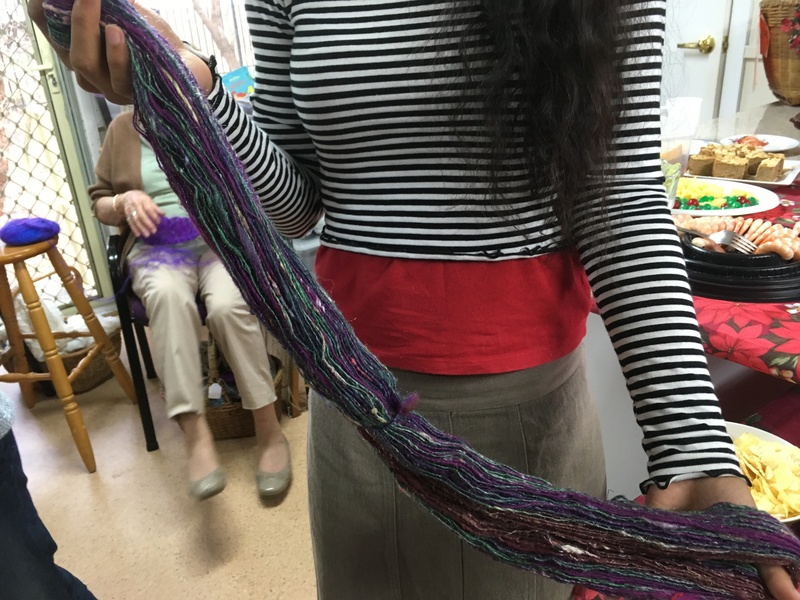 Joanna brought in her hand dyed tops to show us recently. 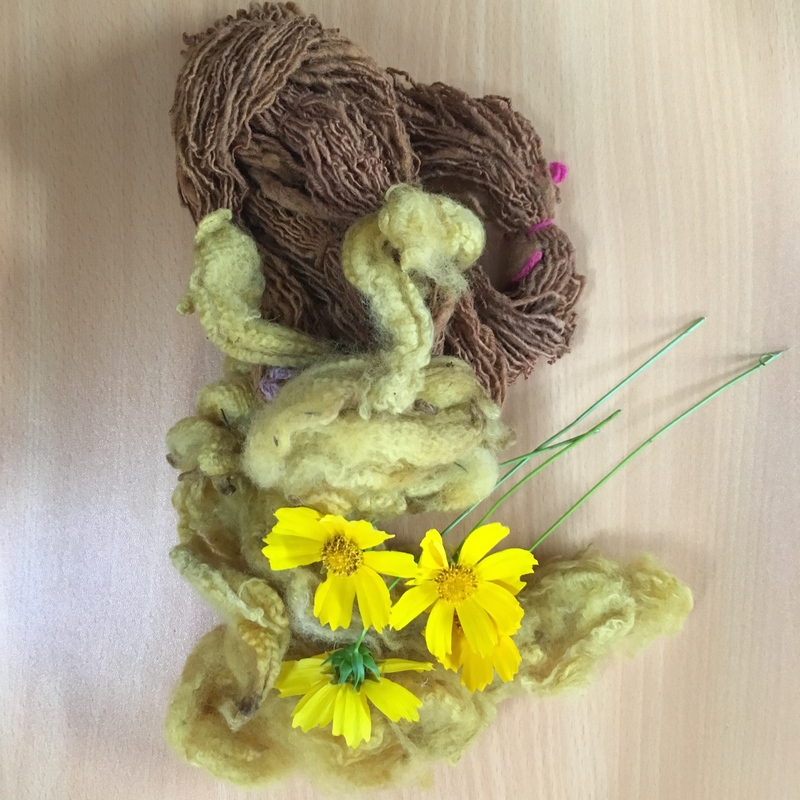 The yellow in the bag below was dyed using coreopsis flowers. 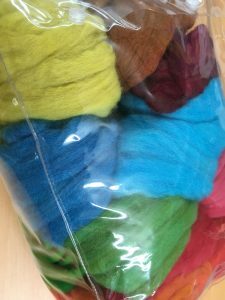 Here are Jenni’s latest handspun skeins which were also hand dyed using food colouring. The fibre is wool with a little mohair. 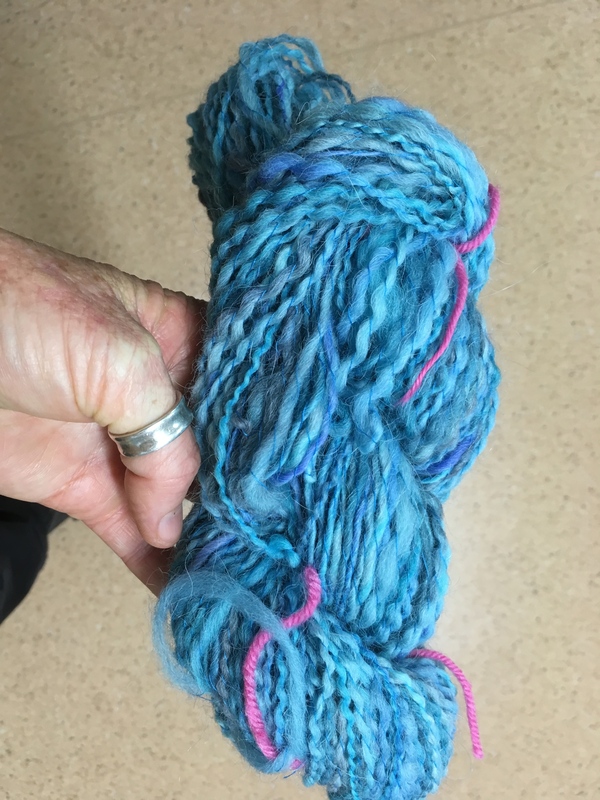 Lee’s latest handspun is wool with a little silk added. 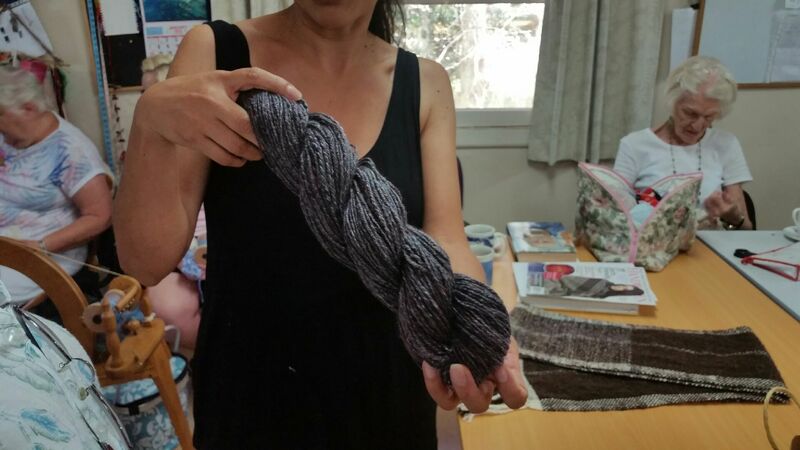 The purple wool was dyed recently when Lee and Bel did some spontaneous dyeing at the Cottage. 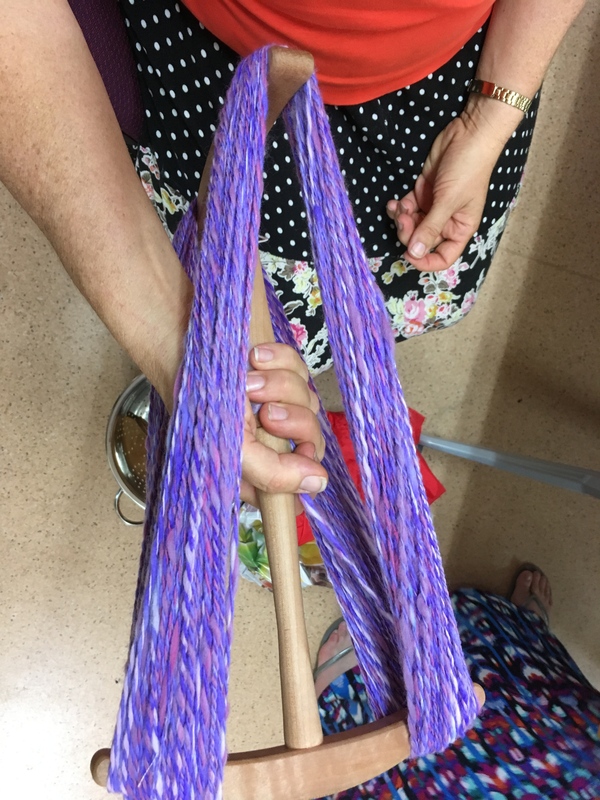 Lee has had her hands in the natural dye pot once again. This Coreopsis dyeing used flowers soaked for thirty-six hours. 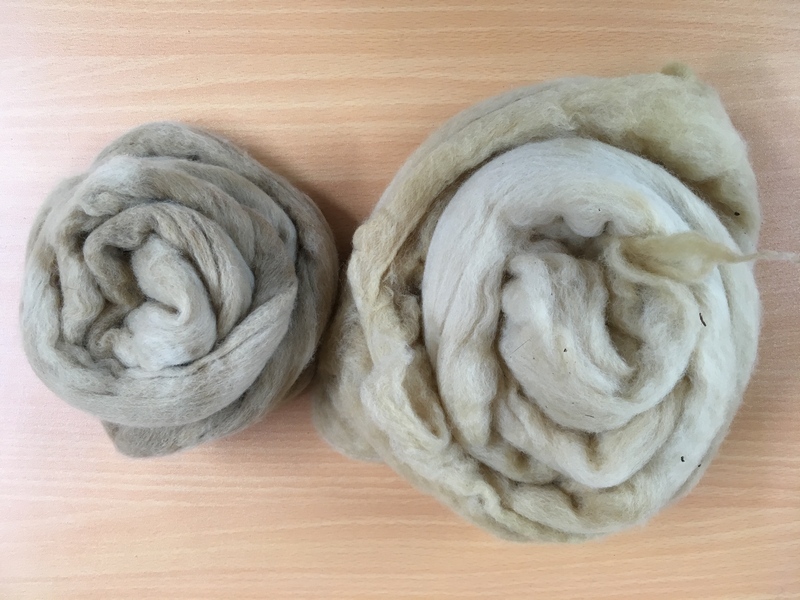 The brown colour was obtained using just the flowers, and the yellow used ammonia as a mordant. Lee used water and then salt with water rinses for this dyeing process.